StormRanger's first truck was deployed in 2016 and there are now six vehicles tracking weather primarily in the NBC and Telemundo stations' markets of Boston, Philadelphia, Chicago, Dallas-Fort Worth, the Bay Area and Los Angeles. 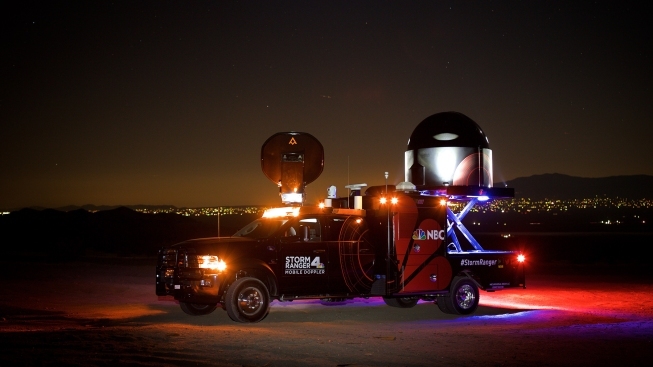 NBC’s Owned Television Stations division has won an Emmy for its mobile radar truck StormRanger, which the NBC and Telemundo owned station group developed to detect weather quicker and forecast with more accuracy than existing radars. StormRanger's first truck was deployed in 2016 and there are now six vehicles tracking weather primarily in the NBC and Telemundo stations' markets of Boston, Philadelphia, Chicago, Dallas-Fort Worth, the Bay Area and Los Angeles. The vehicles travel to nearby markets as well during severe weather events. NBCUniversal Owned Television Stations said in a Thursday release the division received a 2018 Technology and Engineering Emmy Award for the new technology, which was developed over two years and improves local weather forecasting and reporting. Fixed with a Doppler radar, the vehicle can move right to a storm, scanning the system at a closer range and with more detail than a radar mounted high above the ground. 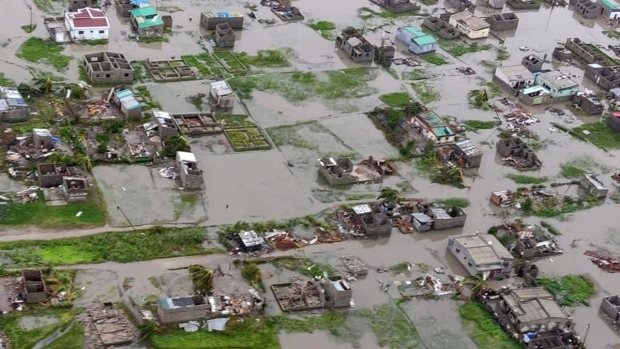 "We're able to take the radar to the storm instead of waiting for the storm to come to the radar," said Nate Johnson, director of weather operations for NBCUniversal Owned Television Stations. Johnson added that this results in more up-to-date and higher resolution pictures for weather forecasting. StormRanger scans the weather every 15 to 20 seconds, Johnson said. That's compared to other radars that may scan the area every 90 seconds or, sometimes, every five minutes. This allows people in the storm's path to have more time to protect themselves, Johnson said. StormRanger's high-resolution radar can better forecast snowfall measurements by detecting where in the atmosphere rain turns into snow. This can mean the difference between predicting an area will receive a few inches or more than a foot of snow. The radar can also help people better understand when a tornado forms and what damage it causes by detecting debris in the air and types of precipitation. And it even detects small particles in the air during fire season, allowing fire departments and governments to better alert the public of a fire threat. 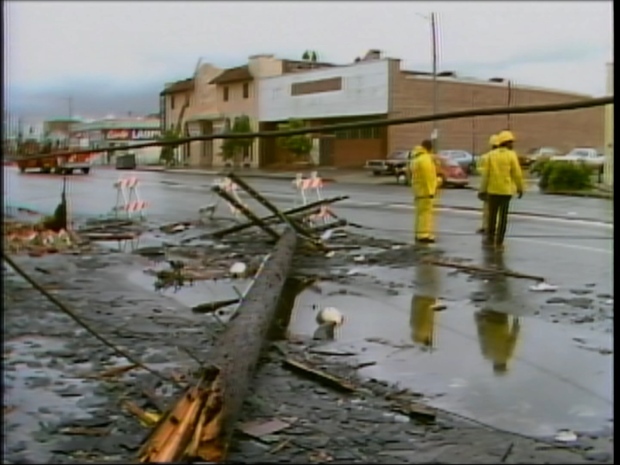 A look back at the 1983 tornado that swept through downtown Los Angeles. Johnson said StormRanger's ability to aid in the reporting of wildfires has been a "tremendous asset." The radar can detect where the fire's smoke is going and what the wind is doing inside the plume, helping meteorologists see if a fire whirl could form. StormRanger helped meteorologists in Texas forecast storm cell movements several minutes before another existing radar. In Boston, the radar allowed NBC10 to report a detailed view of a winter storm’s morning icing for the rush-hour weather forecast. And meteorologists in Los Angeles used StormRanger to track the smoke plumes of a wildfire. Johnson said NBC will continue to perfect StormRanger's technology and "explore new ways to use it to help keep our viewers and users a step ahead of the weather." 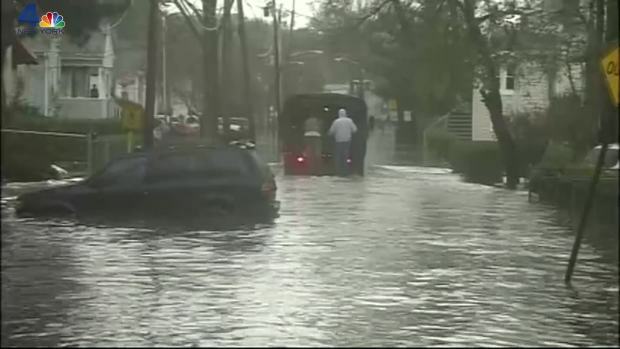 Sandy took a dramatic path to get to the tri-state area, unleashing a fury the likes of which the tri-state area hadn't seen in decades -- or in the case of some hardest hit areas, in history. Storm Team 4's Dave Price and Chris Cimino reflect on what it was like working in the NBC 4 newsroom ahead of -- and during -- that devastating storm. NBCUniversal Owned Television Stations includes 40 NBC and Telemundo stations in 28 markets in the U.S. and Puerto Rico. It will receive its award at the 70th Technology and Engineering Emmy Awards on April 7, 2019, in Las Vegas. Teams from Accelerated Media Technologies and Enterprise Electronics Corporation also collaborated with NBC and Telemundo stations to design and build the trucks.